A collection of fine art photography as seen through the lens of award winning New Jersey photographer, Roberta C. Scott. The current exhibit of 14 images includes a variety of subjects ranging from the 'Majestic Verrazano' to a 'Vermont Morning' and are in keeping with Roberta's artistic credo "Beauty lies in your own backyard." This show will be available to the public during regular library hours of operation. 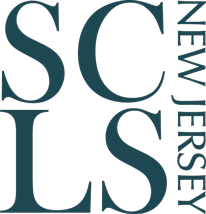 Contact staff member, Kathy DeCristofaro at kdecrist@sclibnj.org for more information.